While Android Pay may have stolen the thunder in terms of Google's various methods of moving money from one party to another, Wallet is still up and running for those times when you've just got to move a few bucks between friends. The latest update looks basically identical to the last few versions, but a teardown of the app shows there are going to be a few changes to the security model that should reduce a little bit of friction and make the app much more convenient than it was in the past. It didn't take too long, but the switch to Google Account PIN has gone live in the Wallet app. Along with it is expected support for the fingerprint sensor to bypass the PIN security. You'll be prompted to enter your old PIN the first time Wallet launches, but the prompt to switch to Google Account PIN comes immediately after. There's no option to stay on the old PIN, so you have to either make the switch or go PIN-less. 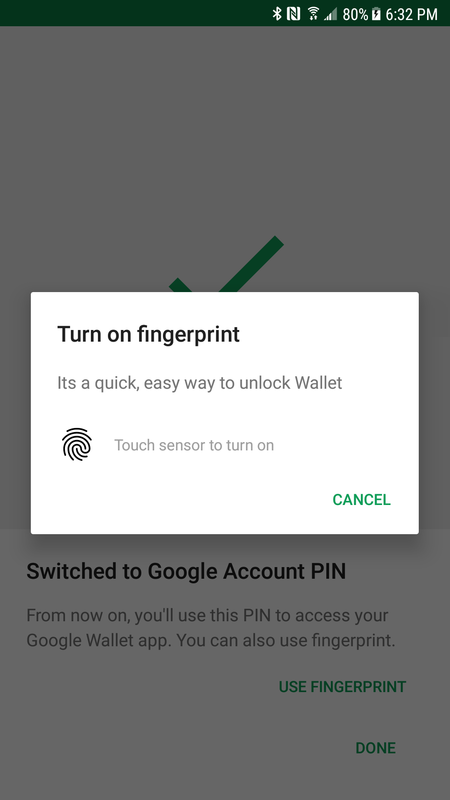 After accepting the new PIN method, you'll also be prompted to use the fingerprint reader if your phone has one. I'm not sure show much the switch to Google Account PIN will affect people, but support for the fingerprint reader is a massive improvement. The fingerprint scanner on most modern phones is a massive time saver for those of us that have our phones secured. In fact, it has become a pretty standard feature for apps that handle financial transactions. 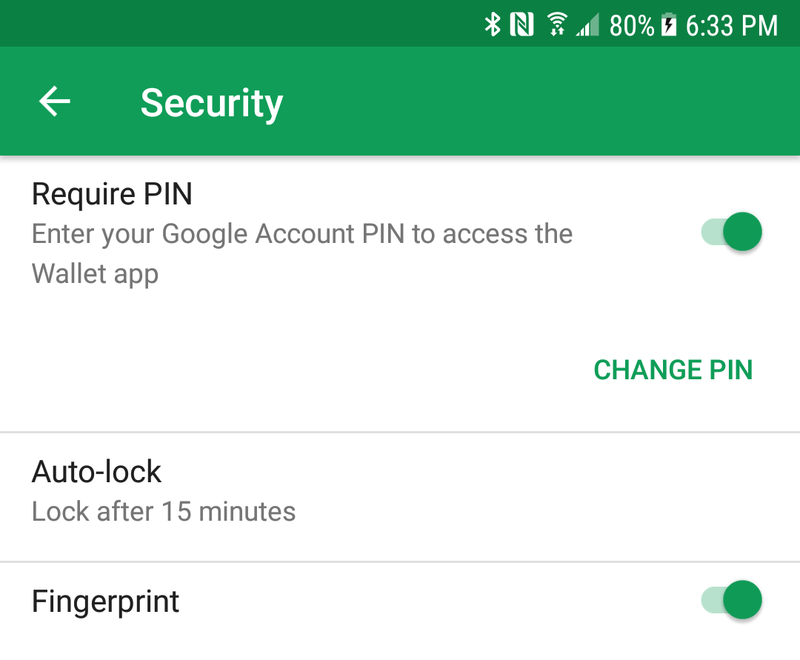 Actually, I bet most people would doubt me if I said the Google Wallet app doesn't currently allow speedy access with a fingerprint, but it's true. But fortunately, that won't be the case for much longer. Some new strings in the v20 update show that fingerprint scanner support is coming soon. PIN codes are often used to add a little more security to debit and credit cards, bank accounts, and various other systems that deserve a little more protection than just a password. The problem with attaching PIN codes to everything is that they are easy to forget, especially if there are too many and they aren't used frequently. This is probably a common problem with Google Wallet, which requires a PIN code to access the app. 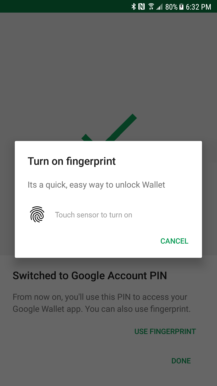 It looks like Google recognizes that too many separate products use distinct PINs and decided to do away with Google Wallet's dedicated system. 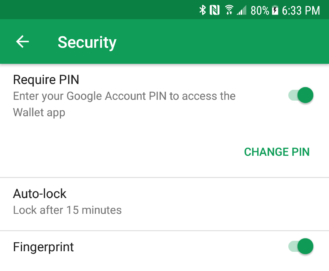 Taking its place is the Google Account PIN, a more universal system that has been adopted across a handful of Google's other services and apps. 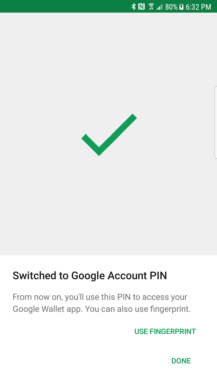 Google Play and G Suite already support Google Account PINs, so many people may already have one. If not, Wallet will offer to set one up. As Google's text points out, the major advantage of this is that many people will have one fewer PIN to remember. Of course, there are plenty of people that don't have a Google Account PIN, so this won't change much for them. 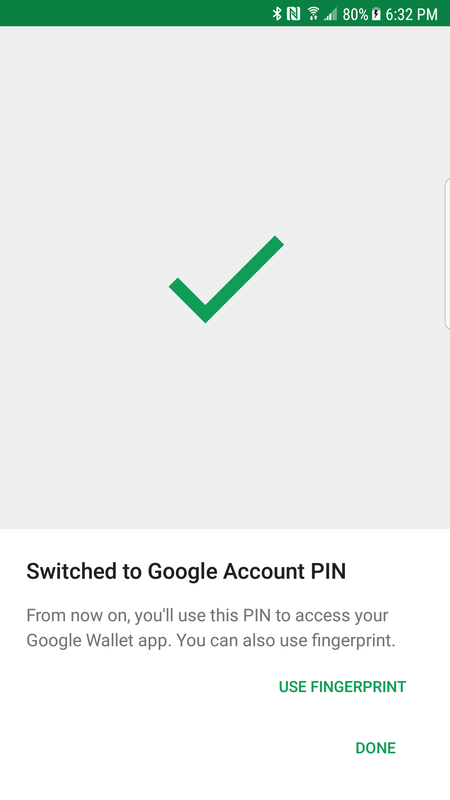 "Your Google Account PIN is different from PINs you might have for other Google products, like Google Voice, Google Wallet, and AdWords." 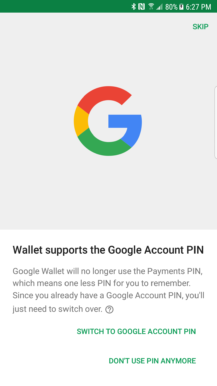 Seeing as Google's support pages currently specify Wallet as one of the apps that uses a different PIN, it's safe to say the conversion hasn't begun yet, but it's probably not too far off. That's not where things stop, though; Google appears to be relaxing the security rules in another way. Two final lines make it look like Wallet users may finally get the option to drop the PIN code requirement entirely. This will be the perfect solution for those that keep their phones securely locked most of the time or don't have any payment methods set up in Wallet. For everybody else, it's probably still advisable to keep security enabled, but that shouldn't be nearly as annoying once we can use a fingerprint for security.